I’ve lived in this room for over a decade and well and truly made it my own. It’s been various different colours, from pink to purple, to soft beige and now white. If you follow me on Instagram or Twitter, then you’ll know that last week, I waved goodbye to my memory indulged family home and moved out into my first apartment with my boyfriend. It’s so exciting to have a bigger space to put my stamp on and I can’t wait to share what we’ve done with the apartment so far, however, for now, it’s time to appreciate my bedroom that once was. 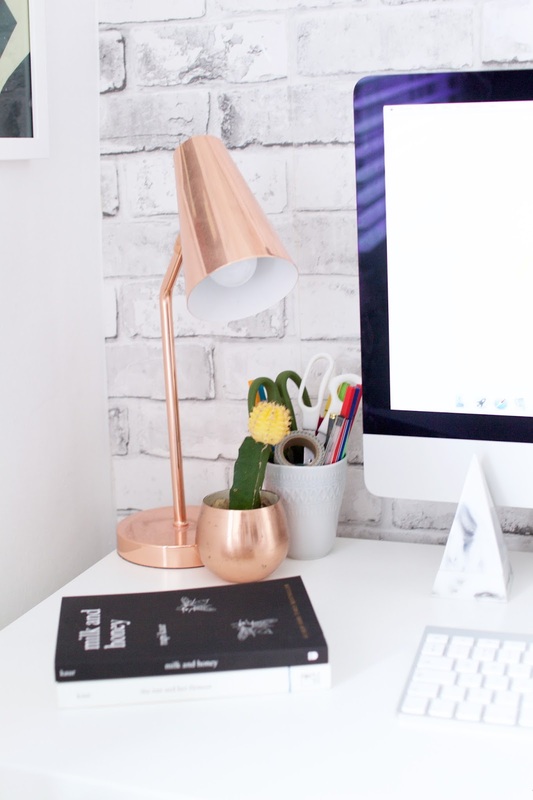 I’ve slowly introduced interiors onto my blog for about a year or two, however, now that I have a place that is truly my own, I’m ready to fully commit to adding it as a permanent segment on my blog and my social platforms. 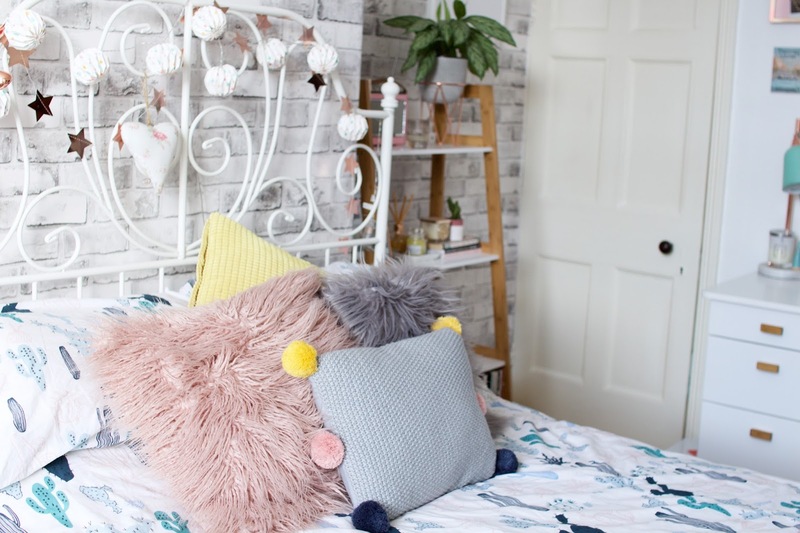 So, here’s my very long awaited bedroom tour, as well as some tips and tricks for putting your own stamp on your bedroom without busting the bank! 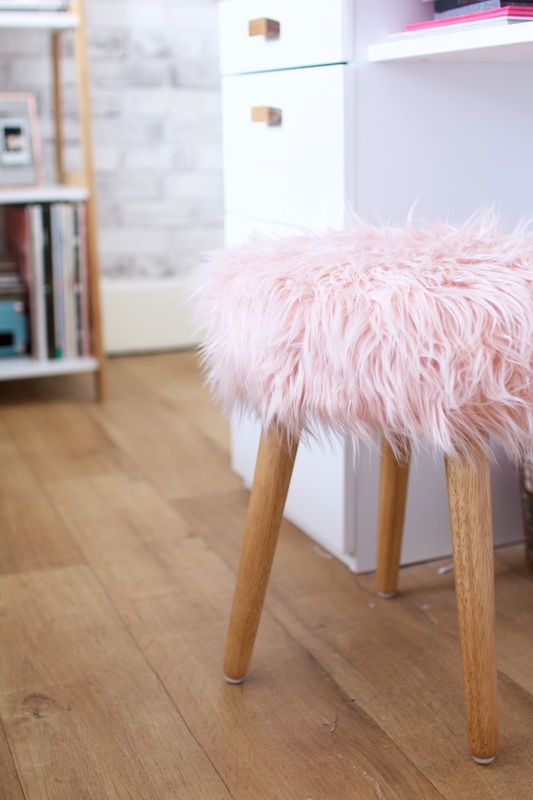 My mum and I have completely different taste when it comes to homeware, and fashion and beauty for that matter! Therefore the vibe of my bedroom is completely different in comparison to the rest of my family home. 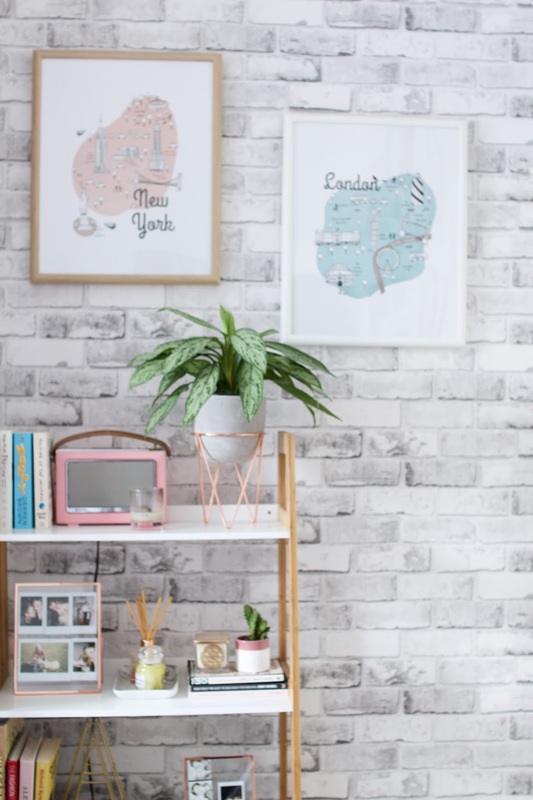 I enjoy cool artwork, plants and subtle colours to brighten up my room, however, the muted colours allow it to remain as a relaxing space. My interior inspirations have come from Scandi style mixed with a hint of 60’s and 70’s. I love clashing colours together, adding in prints of my favourite musicians, and wooden legged furniture, I think it meshes together so well and the room just always have a fresh but homely feel. 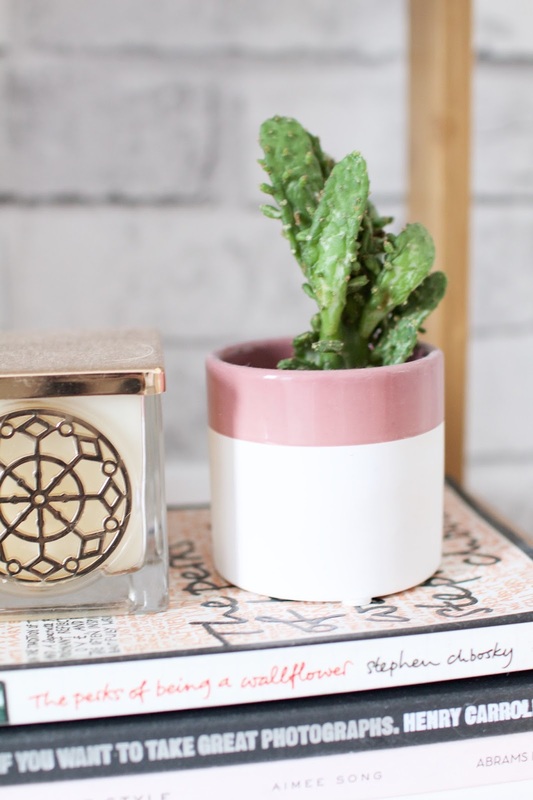 I’ve never been the type of person who wanted commit to a certain colour scheme, therefore adding in a multitude of colours allows to me the option to buy any decor items in any colour and really have fun when it comes to adding colour. 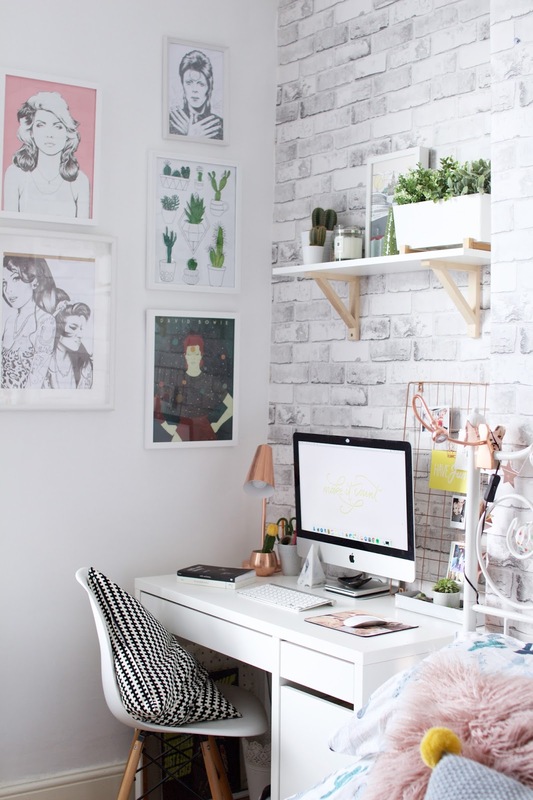 Although I now work full time, the majority of this room was decorated whilst I was at University, therefore my part-time dolla was all I had to splurge out to decorate. 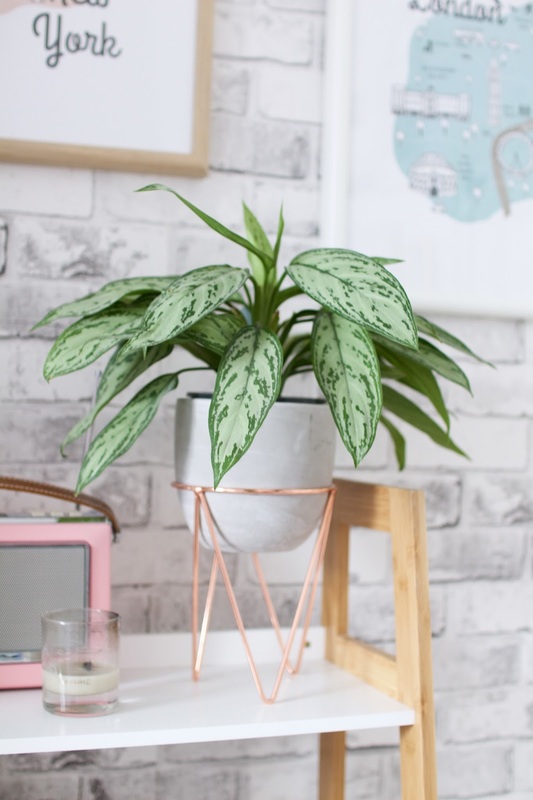 I’ve discovered so many amazing homeware stores that allow you to get some amazing furniture pieces and decorative items on the cheap and the best part is, they look so much better than what I actually paid for them – What more could you want?! 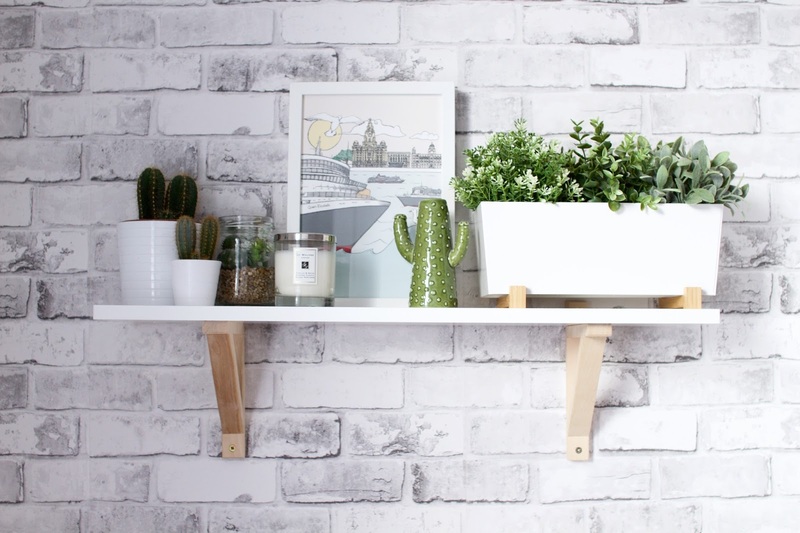 The obvious choice for cheap and cheerful furniture is obviously IKEA, however, sometimes it’s nice to have items that are a little bit different. Sometimes I find some absolute gems on Amazon. 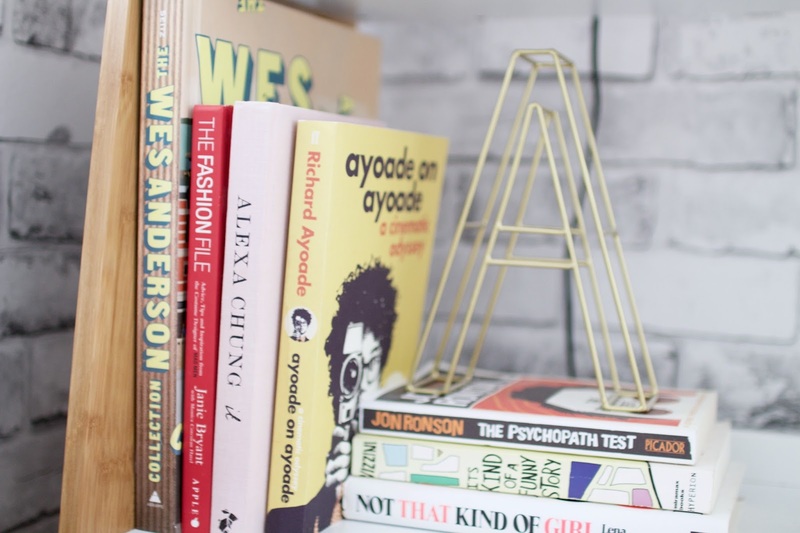 My bookshelf for example, is one of my trusty Amazon finds, It was around £50 and I pretty much squealed when I saw it. If there’s something you’re looking for something particular, type the keywords into Amazon and you’ll be surprised what you’ll find! Another one of my favourite furniture places is LaRadoute, although some items can be pricey, at certain times of the year they have massive homeware reductions that I just can’t resist. Their furniture has that lustful mid-century Parisian vibe and this is a style that I find a gravitate towards the most. We all love littering our bed with pillows. 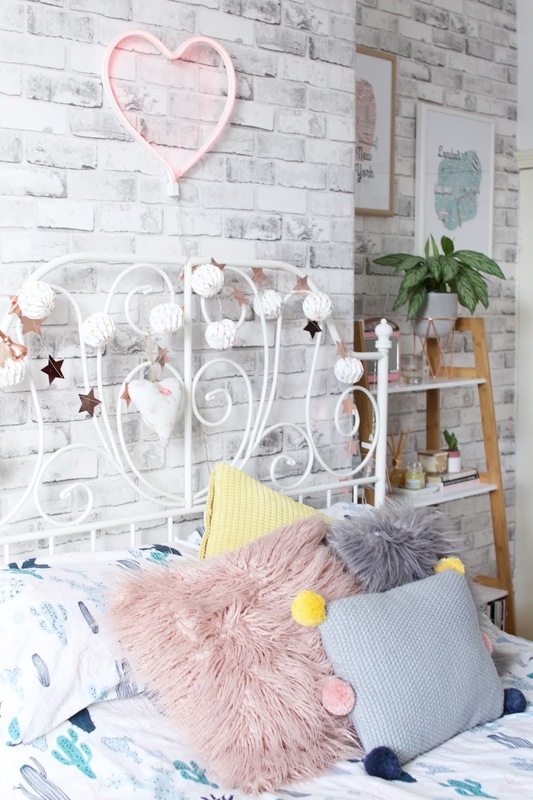 I have 101 pillows but only one bed and for some that may be a little excessive, however, I like changing it up every now and then and switching up your pillows and bedding is the best way to refresh a room instantly. I love hunting cushions down in shops such as TK MAX and Homesense as they have such a wide selection and they’re all so unique. I also love Primark Home for the odd decorative cushion or cosy throw. I hope you enjoyed snooping around my room. Well, what was once my room. I can’t wait to show you all my new apartment and how I’ve decorated!